Whether you have a 10 x 10 or a 40 x 50, EZ6 can be configured to meet your needs. 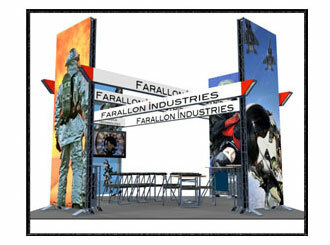 We have pre-designed a number of kits for the most popular display sizes but there is no limitation to what you can build. Many of our larger kits can be broken down to create a couple of smaller kits. 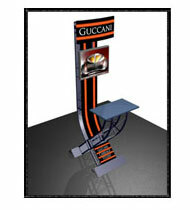 You will see a number of our accessories such as shelving or A/V mounts in the kits. 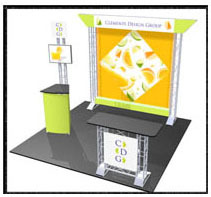 These are not part of the kits but are there in an attempt to help you visualize ways to use your display. We truly hope these ideas help you create the best display for you. 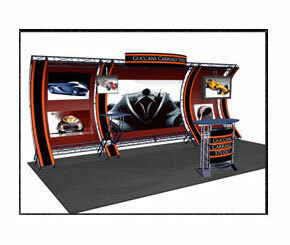 So, click a link below and start to plan your next display. Most kits available on a rental basis. 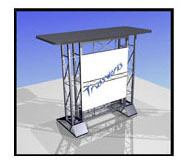 5.75” Square Modular Truss, constructed of steel 3/4” square tube. All pieces are powder coated.